"Free at last! Free at last! Thank God Almighty, we are free at last!" Becoming a Christian means we have been liberated from law keeping. We now have God living in us through the Holy Spirit. The Spirit helps us to know God's will and then live it. Through the Spirit's power, we can do what no law could make us do: live up to God's standards of righteousness. 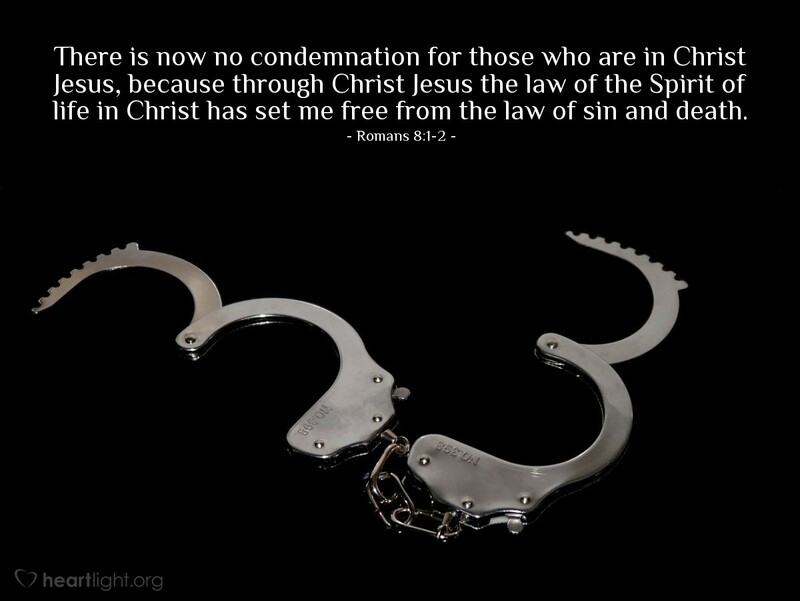 We are set free to be like God and to be with God, free from the crippling power of law, sin, and death.